The 2009 flu pandemic in Asia, part of an epidemic in 2009 of a new strain of influenza A virus subtype H1N1 causing what has been commonly called swine flu, has afflicted at least 394,133 people in Asia with 2,137 confirmed deaths: there have been 1035 deaths confirmed in India, followed by 737 deaths in China, 415 deaths in Turkey, 192 deaths in Thailand and 170 deaths in South Korea. Among the Asian countries, South Korea has the most confirmed cases, followed by China, Hong Kong and Thailand. On 27 April 2009 Azerbaijan imposed a ban on import of animal husbandry products from the Americas. According to the Chief of the State Veterinary Service under the Agriculture Ministry Ismayil Hasanov, products brought to the country on that day received certificates and it was confirmed that those products were safe. AZAL took additional safety measures and a sanitary quarantine unit of the Health Ministry started to operate in Heydar Aliyev International Airport with all aircraft and passengers being checked. Azeri Minister of Health Ogtay Shiraliyev said the order prepared by him considers implementation of necessary measures in the epidemiological and various medical centers. "Azerbaijan is ready for this issue", he said. According to the Agriculture Minister Ismat Abbasov, the State Veterinary Service is holding monitoring in the regions and pigs are kept in closed places in farms. Abbasov also said: "I can say with full responsibility that the situation on prevention against swine flu virus is stable in Azerbaijan". On 31 July, First Case of Influenza A(H1N1) was confirmed. On 2 May all checkpoints on borders with Russia passed to the medium security and disinfection barriers for both cars and pedestrians were installed at the Samur, Shirvanovka and Khan Oba checkpoints in Qusar and Khachmaz Raions. The veterinary services at checkpoints intensified their activities while hog farms in the northern regions passed to the closed farming regime.First death confirmed in 11 November. On 27 April, Bahrain's health ministry declared the country to be free from the flu, citing that  The Ministry announced the creation of isolation wards in the country's main hospitals and also recommended that people should avoid hugging and kissing, so as to avoid contact with infected individuals. Also on the same day, it was announced that passengers arriving through the Bahrain International Airport would be screened and would also send suspicious flu patients to isolation wards. It was also announced that pharmacies in the country were stockpiled with enough Tamiflu to cover 20% of the population. A special hotline was also setup. Concerns began to emerge in the country about whether or not the healthcare sector could handle the influx of flu patients. The Ministry of Health also setup screening facilities on the King Fahd Causeway to screen travelers entering the country . On 1 May, it was announced that a 41-year old male American traveler and a female passenger from Paris were quarantined at Salmaniya Medical Complex after displaying flu-like symptoms. However, both passengers tested negative to H1N1 tests. On 26 May, a Bahraini student who had recently arrived from New York was confirmed as having contracted the flu, he was the first confirmed case of swine flu to hit the island country. It is also the first case involving a Gulf national contracting the disease. Health officials have stated the boy had suffered a mild form of the disease and was discharged from the hospital after spending 5 days in quarantine. On 15 June, seven Bahraini students, all age 17, tested positive for the H1N1 virus. The students were among a group of students who had recently returned from a student exchange program in the United States. On 17 June 3 more Bahrainis tested positive for the flu, all of whom were in contact with the previous seven students. In July, the Ministry of Health launched an awareness campaign ahead of the start of the academic year, with many fearing the reopening of schools would lead to a much greater outbreak of the flu. By early August, 18 confirmed cases of the flu were reported. Haj travel agencies have reported that thousands of Bahraini pilgrims have cancelled their trips to Mecca over fears of contracting swine flu. Over 180 confirmed cases of the flu were reported in late August, all of whom had returned from traveling abroad. On 31 August, a 30 year old Filipino  In November 2009, the government stated that up to 1,346 cases of the H1N1 virus were confirmed in the country, along with 15,000 suspected cases of the virus. It was announced on 29 April 2009 by Bangladesh's Health Minister AFM Ruhal Haque that screening of inbound international travelers for swine flu would start at the country's main international airport. After an inter-ministerial meeting on swine flu, Haque told reporters that particularly those travelers who come from the affected countries will be screened at the Shahjalal International Airport in capital Dhaka. A Bangladeshi national who recently returned from US has been detected with swine flu on 18 June, making him the first patient to be tested positive of A(H1N1) viral infection in the country. As of 22 August 98 cases of the A(H1N1) virus has been confirmed in Bangladesh. On 1 May 2009 Chairman of Global Human Flu Prevention and Response Work Committee Deputy Minister for Health Dr Mya Oo inspected preventive measures against the human flu at Yangon International Airport, Burma (also known as Myanmar). On 27 June, Burmese state-run Radio Myanmar confirmed the first case of influenza A/H1N1 - a girl aged 13 who just return from a trip from Singapore. Cambodia's health authorities remain alert but confident that the country is prepared for a swine flu pandemic. In terms of ensuring that infected pigs do not spread the disease to Cambodia, the Cambodian Pig Raiser Association said it has told the government it should ban live pig imports. But Khlauk Chuon, the deputy director of Camcontrol at the Ministry of Commerce, said they would only ban live pig imports from a country that has been hit with swine flu. "We are very worried about this new disease because it can transfer from pig to human, from human to human and from human to pig," Khlauk Chuon added. 6 cases has been confirmed in Cambodia, including one domestic case. The first suspected case found on mainland China was reported on 10 May 2009. As of 29 July 2009, the number of confirmed A/H1N1 cases on the Chinese mainland topped 2,000, with no deaths or serious cases reported, according to the Ministry of Health (MOH). Of the total 2,003 confirmed cases, 1,853 had recovered, said a statement on the MOH website. The WHO and the relevant departments of the Mexican and U.S. governments to help contain the outbreak. According to Wang Jing of the China Inspection and Quarantine Science Research Institute, the measures already in place in China against bird flu are sufficient for this new disease, also certain lessons were learned from the 2003 SARS outbreak including that the state-controlled media doesn't cover up such events. 2 May, the Chinese government has decided to suspend flights from Mexico to Shanghai, the Foreign Ministry said. Meanwhile, the Civil Aviation Administration of China also assigned a charter to transport stranded Chinese visitors back home. Among all carriers, China Eastern Airlines was the first choice as it is based in Shanghai, where the original and the only Sino-Mexican flight disembarks, but later the job has fallen onto the Guangzhou based China Southern Airlines, as China Eastern's aircraft don't fit the facility at Tijuana Airport. The replacing China Southern flight would leave Guangzhou at 21:00 on 3 May as a normal flight until it reaches the stop-over at Los Angeles, and then fly empty toward Mexico City to pick up the 120 stranded tourists. The charter flight estimates to be back in Shanghai 11:00 in the morning on 5 May, and all passengers on board will then go through health to see if further action is needed. 1,089 cases were confirmed in China by early May. China's Ministry of Health has gathered experts to draft the Influenza A(H1N1) vaccine and immunity strategy which would include, 'when, how and against whom' the vaccine should be used. The ministry's Contingency Office deputy director, Liang Wannian, said the optimum objective of the flu vaccine was for the protection of high-risk population, especially people with basic illness and pregnant women. The first batch of China's A (H1N1) flu vaccine is expected to be ready by July, and would undergo a two-month clinical test before it is available in the market. China's flu vaccine strategy is to stockpile enough vaccine for one per cent of her population by 1 October, as a preventive measure to encounter any vast outbreak of the flu. Liang said China would take more severe and effective preventive measures at its many gateways and educate the people on the H1N1, also known as swine flu. In early September 2009, China's State Food and Drug Administration granted approval to a homegrown swine flu vaccine, which producer Sinovac Biotech claims is effective after only one dose. On 4 January 2010, the Chinese Health Ministry announced that 659 deaths from swine flu have been recorded in 2009, with 120,940 confirmed detected cases throughout the year. The Food and Health Bureau of Hong Kong issued travel advice for Mexico on 26 April 2009, which advised Hong Kong residents not to travel to Mexico unless absolutely necessary. The first case reported was a Mexican who flew in from Shanghai. The most recent case (the tenth) was found in a 56-year-old American who had flown in from San Francisco. The Bureau also escalated the alert level from "alert" to "serious" on the same day, which activated health protection measures in all ports of entry of Hong Kong. As such, temperature screening machines are used at all checkpoints to identify passengers with fever and respiratory symptoms. Any passenger who fails the temperature test and confirmed having a fever will be quarantined and sent to public hospital for further investigation. Hong Kong also became one of the first jurisdictions to declare swine flu as a notifiable disease, and much of the procedures against the spread of the swine flu were learned from the 2003 SARS outbreak, of which Hong Kong was the epicenter of the outbreak. The Secretary for Food and Health York Chow stated that special attention will be paid to passengers who come from countries where human infection of swine influenza cases have been reported. On 1 May, one case became the first confirmed case of swine flu in Hong Kong and also the first in Asia after being tested positive by the University of Hong Kong and the Department of Health of Hong Kong. The Mexican patient, who travelled with two companions from Mexico to Hong Kong with a stopover in Shanghai Pudong Airport, arrived in Hong Kong on 30 April. 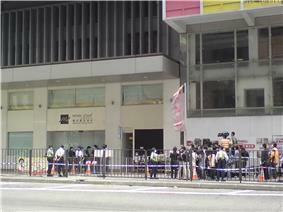 Metropark Hotel Wanchai, where the patient stayed, was cordoned off by the police and health officials from the Centre for Health Protection. All 350 guests and hotel staff have to remain inside the hotel for seven days. After the first swine flu case was confirmed by laboratory, Chief Executive Sir Donald Tsang raised Hong Kong's response level from "serious" to "emergency". On 2 May, a total of 12 Metropark Hotel guests who were not willing to stay in the hotel were moved to Lady MacLehose Holiday Village in Sai Kung for quarantine. On 11 June, the Educational Bureau issued a letter ordering all kindergartens, primary and special schools to suspend all class and examinations for a 14-day period. As of 21, 20 June secondary schools have been ordered to suspend classes and examinations for another 14 days after a confirmed case of human swine flu was found in each school.On 23 June,the Educational Bureau issued a letter to order all kindergartens,primary schools and special schools to have their summer holiday immediately. As of 27 August 2009, there have been 10,468 confirmed cases of swine flu in the city. On 3 July, a case of Tamiflu-resistant virus was discovered in a woman suffering from the flu. The woman had not previously taken Tamiflu, so concern has been expressed that she may have contracted an already resistant virus from someone else. On 18 June, the first case was confirmed. The victim was a Filipino arriving Macau the day before. The first local case was confirmed on 23 June. On that day there were 8 confirmed cases. On 20 May 2009, the first case of the influenza has been confirmed in Taiwan. The government had previously taken several steps to prevent the possible outbreak of Swine Flu, including a command center set up, travel alerts for infected nations, and more severe health check been conducted at international ports. Taiwan said visitors who came back from affected areas with fever would be quarantined. According to The Department of Health (DOH), Taiwan has a sufficient supply of surgical masks and vaccine to deal with the flu. The DOH also stated that they have 50 million to 60 million masks in stock and local manufacturers have the capability of producing 200,000 doses of the flu vaccine a month. In an effort to prevent the entry of the swine influenza, the Centers for Disease Control has announced on 28 April that every flight from the Americas, specifically Canada and the United States, that arrives in Taiwan from 29 April and onward will be subject to a strict on-board screening procedure. There are 5,474 confirmed cases of H1N1 in Taiwan so far. Cyprus identified its first case of H1N1 on 30 May in a 39-year-old woman from Moldova, living in Cyprus, who returned from the United States on 28 May. As of 11 July 250 cases have been confirmed in Cyprus. The Government of India has decided to screen all people entering India via the main airport hubs of Mumbai, New Delhi, Goa, Jaipur, Kochi, Kolkata, Chennai, Bangalore and Hyderabad. It said the primary focus will be on passengers entering from the United States of America, United Kingdom, Canada, Mexico, France, and New Zealand. A team of 32 medical professionals have been posted at these airports. The Ministry of Health is also trying to track down people who have entered India from Mexico in the last 10 days. It has been reported that one person recently traveled from Texas to Hyderabad with flu symptoms and was quarantined, but authorities refused to divulge his identity. Government health officials & WHO subsequently stated that there is no Swine flu in India and the said patient recovered from a common cold. Three other suspected cases of swine flu have been noticed. Two of them were flying from Chicago and the other one, who is UK citizen, aged 35, arrived from London. All of whom have been kept under observation in a hospital. As of 21 August 2009, 2401 cases have been confirmed in India with 63 deaths. As of 4 October 2009, 10375 cases have been confirmed in India with 329 deaths. The maximum deaths are found from Pune. As of 13 August 13 people have been succumbed to the deadly virus in Pune. Pune has been declared onto a state of semi-emergency of pandemic. The Government has declared of the closure of Schools and Colleges in Mumbai for at least a week. All the shopping malls and theaters have been closed down up to Monday. After a coordination meeting about the flu on 27 April 2009, the Indonesian government halted the importation of pigs and initiated the examination of 9 million pigs in Indonesia. Thermal scanners which can detect human body temperature have been installed at Indonesian ports of entry. Temperatures above 38 degrees Celsius (100.4 Fahrenheit) cause the devices to beep, indicating fever. The devices have been installed in Soekarno-Hatta International Airport and Halim Perdana Kusuma Airport in Jakarta, Juanda Airport in Surabaya, Hang Nadim Airport in Batam, Hasanudin Airport in Makassar, Ngurah Rai Airport in Denpasar, Sultan Aji Muhamad Sulaiman Airport in Balikpapan, and Tanjung Priok Seaport, gates one and two in Jakarta and taking action right now. Indonesia confirms first case of H1N1. 416 cases and one death has been confirmed in Indonesia. Cases have increased to over 1,005 people and 4 deaths, but three of these deaths were reported negative. Any person with temperatures above 38 degrees Celsius will be taken to a specialized hospital and would undertake intensive test to determine if the patient is positive of swine flu. As of 18 August 2009, 4 deaths due to the virus have been reported in the country. This is not the case, as only one fatality was reported positive to the virus. The other three were signaled negative. over 4000 cases have been confirmed in Israel, and over 60 people have died so far. In response to the outbreak, the Israeli Deputy Minister of Health, Yaakov Litzman, has said that because swine are unclean, the outbreak needs to be renamed, and so in Israel, out of respect for the religious sensibilities of Jews and Muslims, it should be called "Mexican Flu". This was done so as to not confuse the population into thinking that they could not acquire the virus if they did not eat pork. The Israeli government retracted this proposal following Mexican complaints. The flu came close to many Israeli politicians. Prime minister Benjamin Netanyahu was checked for fear of flu, and the flu reached the presidential residence and the Knesset. The Ministry of Agriculture, Forestry and Fisheries of Japan instructed animal quarantine offices across Japan to examine any live pigs being brought into Japan to make sure they are not infected with the influenza. Japanese Agriculture Minister Shigeru Ishiba appeared on television to reassure customers that it is safe to eat pork. The Japanese farm ministry said that it would not ask for restrictions on pork imports because the virus was unlikely to turn up in pork, and would be killed by cooking. On 30 April 2009, the first suspected case was detected at Narita Airport. However, the case turned out to be a conventional strain of influenza A subtype H3N2 (Hong Kong A strain). On 1 May 2009, the second suspected case was detected in Yokohama. This case also turned out to be a conventional strain of influenza A subtype H1N1 (Russian A strain). Meanwhile Japan has not stopped any flights or means of travelling between Japan and Mexico. On 8 May, the first three cases were confirmed. The infected patients had spent time in Oakville, Canada and returned to Japan via Detroit. On 10 May, another case was confirmed from a student who came from a school trip to Canada, making it the fourth case of Japan. On 16 May, the first domestic infection was confirmed in Kobe. The male high school student did not have a history of travel abroad and thought it was a seasonal flu, and PCR test was not done in timely manner. Two other students are suspected, and 17 other students are claiming influenza-like symptoms. The route of the infection was not traceable. On 18 May, 130 cases had been confirmed, including employees of a railway kiosk and a bank. Several railway kiosks in Kobe were closed, and 70 other bank workers who had worked with the infected person were told to stand by at home. All schools in the Osaka and Hyogo Prefectures were suspended. There have been 944 case confirmed in Japan as of 24 June 2009. On 2 July, the first case of oseltamivir-resistant virus in Asia was announced in Japan, in a woman who had been taking Tamiflu prophylactically. The first cases of A(H1N1) virus were discovered in 3 students from the capital Astana according to Natalia Buenko, an advisor to the Ministry of Health of Kazakhstan. About 18 people on U.S. military bases in Kuwait have tested positive for swine flu, a U.S. Central Command spokeswoman said on 24 May 2009. They are the first cases reported in Kuwait. It remains unclear whether the virus has spread to the civilian population. The names and units of the infected people were not immediately available. Maj. Kristi Beckman, speaking from Central Command headquarters in Tampa, said everyone who tested positive for the virus was quarantined in military health facilities approved by officials from the Kuwaiti Ministry of Health. The World Kuwait is used as a staging area for soldiers heading to or from the war in Iraq. The World Health Organization reported that they had not included Kuwait on its list of countries where the virus is present. On 16 June, the Kuwait Times newspaper reported confirmed the country's first cases of swine flu in four Kuwaitis who returned from the United States. The Lao government agreed to buy 10 thermal imaging machines and install them at the country's major immigration border checkpoints. The machines would help officials identify anyone entering the country with a high temperature and create confidence among Lao people, foreigners living in Laos and people traveling to Laos. Health officials would be on hand at international border checkpoints to ensure anyone found to be infected could be treated immediately. Each machine could cost about US$25,000. The decision to buy them was made after the government found visitors to Laos included people coming from the United States, Spain and other affected countries. A Lebanese man suffering from a serious illness died from the H1N1 swine flu strain on Thursday 30 July 2009, which makes the first death in Lebanon, Health Minister Mohammad Khalifeh told Reuters. The 30-year-old victim had been receiving treatment for leukemia when he contracted the virus, possibly from relatives who had just traveled from Australia to Lebanon, the minister said.Lebanon has recorded more than 100 cases of H1N1. The first three cases of swine flu were discovered in Lebanon on 1 July 2009 according to the Health Minister Mohammad Jawad Khalifeh. "One Lebanese man who was in Spain and two Canadians who arrived in Lebanon a week ago are suffering from swine flu," Khalifeh told AFP. "We put them in quarantine and the blood samples we have taken every day have proven to be positive. "The Lebanese man and the two visiting Canadians were given the proper medical treatment in time and they are well now." He told a press conference said the man was part of a group of 22 Lebanese who had been attending a training seminar in Spain at an institute where the disease was later detected. He said health authorities may use thermal scanners at the airport to detect passengers with fever. "The situation is under control," he said. The Lebanese Health Minister Mohammad Jawad Khalifeh asked citizens to stop the social habit of greeting with kissing, as it is a Lebanese habit to greet each other with three kisses on the cheek. He also requested that affected schoolchildren be kept at home and that travel to countries in which cases have been confirmed be avoided. Beirut also banned the import of pork. On 30 May, Lebanon confirms three cases of swine flu. Malaysia detected the first case of influenza A(H1N1) on 15 May 2009 in a 21-year-old student who returned from the  As of 20 August 2009 the total number of A(H1N1) related deaths in Malaysia stands at 68. A ministerial committee has been established to supervise swine flu preventive measures to avoid an outbreak. All visitors arriving at the Malé International Airport on Hulhule Island and the country’s three commercial seaports are being screened. First death from H1N1 flu virus was confirmed on 19 November. Mongolian authorities quarantined 103 plane passengers on last 7 May who may have been exposed to swine flu. The passengers were aboard a flight in which two passengers who had performed in a Mongolian band in Mexico developed a fever. When the plane stopped for a scheduled landing in Moscow, the ill passengers were hospitalized. Landing later in Ulaanbaatar, the Mongolian Health Ministry announced it had quarantined all passengers as well as the crew of six. The people will remain under medical surveillance for seven days, according to officials of the General Authority for Emergency Management. The Mongolian Health Ministry has sought to prevent the spread of swine flu in Mongolia by urging people to avoid public places. As of 22 October 126 cases were confirmed in Mongolia. Just after seven days, the number increased to 394 with five deaths. Most defectors with backgrounds in health care agree that, considering the isolation of North Korean society and its highly inadequate health care system, incidents of swine flu are likely to be either suppressed or merely misdiagnosed. Following the confirmation of the first case of the disease in Mongolia, heightened concerns arose. the very high cases in China would make the spread of the disease to North Korea only a matter of time. If swine flu would come to North Korea, there is a possibility of rapid spreading of the disease through the jangmadang (market), which has become the primary means of survival for the people. The plans of the WHO to distribute swine flu vaccines, contributed by developed countries, to a selected 100 developing countries in November; North Korea is included in the priority list. On 16 November, the first known case was confirmed by the Ministry of Unification, released in a report by Korea Times. The first case was confirmed in a South Korean worker in Gaeseong Industrial Complex. On 1 December, the Ministry of Public Health called on a meeting to discuss how to prevent H1N1 influenza from spreading. Importing of vaccines and isolation of people in their respective homes were considered. The Ministry of Education has also decided to call on all schools nation-wide to have a winter break a month earlier in an approach to stop the spread of the disease due to the fact that the majority of fatalities caused by the disease are people younger than 23 years of age. However on 9 December for the first time, North Korea officially confirmed foreign reports that an outbreak has occurred in the country, and has accepted aid from South Korea. However there is propaganda that the United States and Western governments created the H1N1 virus, and that the disease is man-made by the Westerners. As of 13 August 2009, 337 cases have been confirmed by the National Pandemic Influenza Committee in Oman. There have also been unconfirmed reports of a death although this has been denied by the Health Ministry. on 21 August 2009, the Ministry of Health reported the first 2 death cases one in Muscat and the other in Salalah plus the increase in the number of cases to 513. Pakistan has taken precautionary measures at the international airports to check passengers coming from swine flu affected countries. Doctors are checking the incoming passengers and allow entry only to those with no flu symptoms. The major hospitals in all the big cities are on high alert. There are 90 confirmed case as of 26 January 2010. Health Secretary Francisco T. Duque III ordered the Bureau of Quarantine to use thermal imaging equipment at airports to screen passengers coming from the US for flu symptoms. The Philippines may quarantine travelers arriving from Mexico with fevers. Also, the Secretary of the Department of Agriculture issued an order banning the importation of hogs from the U.S. and Mexico, and the retraction of the restriction of swine influenza vaccine use. The medical alert phase is already Code White, the lowest. On 18 May 2009, a Filipina girl who arrived from Houston, Texas, USA was the first confirmed case of H1N1 virus in the Philippines. Health Secretary Duque advised that the girl is in stable condition and is in quarantine. On 3 June 2009, a foreign exchange student in De La Salle University-Manila was confirmed with H1N1 virus and the school was closed for ten days starting 4 June. As of 5 June 2009, the Total of confirmed cases of A(H1N1) virus rose from 29 cases last 4 June to 33 confirmed cases as of 5 June. Philippine Health Secretary Francisco Duque III said the new cases are two siblings and another student of De La Salle University. Because of the said incident, on 6 June 2009, the Commission in Higher Education [CHED] moved the opening of classes in all colleges and universities in Metro Manila from 8 June 2009 to 15 June 2009. First fatality was reported, a 49-year-old female from Metro Manila on 22 June, the first fatality in Asia of this disease. The death was not caused by the virus directly. The person has lung and heath problems that worsen it. The person died of a heart attack. The highest confirmed in one day was on 24 June 2009 with 131 cases, the next day, the confirmed cases added is 123. Because of that, the Department of Health ordered the people that should get swab tests are the only people with very complicated cases (e.g. with lung disorders, hearth disorders, babies etc.). The government said that the very fast spreading of the disease is caused by the population density of the country. The Health Ministry has announced the detection of a case of swine flu which infected a Filipino nurse working at King Faisal Specialist Hospital and Research Center. Dr Abdullah al-Rabee'a, the Health Minister, said that the detection of the case has come within the framework of the efforts being exerted by the Health Ministry to follow up developments in this respect. In a statement to the Saudi Press Agency, he said that the nurse, who had spent her holidays in Philippines, returned to Riyadh on 29 May 2009, aboard one of the flights of the Gulf Air. "Symptoms of the disease appeared in the case of the nurse on June 1, 2009, and she was admitted to the KFSHRC for conducting the required medical examinations pertaining to Swine Flu, he said, noting that the results of the medical examinations were disclosed on Tuesday evening, confirming the case as 'Positive'". In the light of the measures of the World Health Organization (WHO), the medical examinations were conducted for the second time on Tuesday evening, he said, adding that the examinations proved the infection of the nurse for A/H1N1 on Wednesday morning. Dr Al-Rabee'a said the Health Ministry in cooperation with King Faisal Specialist Hospital and Research Center has applied the national plan for the prevention of swine flu in a manner that matches with the recommendations of WHO. Accordingly, the patient was isolated and provided with the required medical treatment. Arrangements are underway to examine those who were in contact with the patient to get sure that they are not infected. As of 17 August 2009 the number of A(H1N1) cases in Saudi Arabia have increased to above 700 and 14 people have died. By 17 August, There had been about 2000 cases of the flu resulting in 14 deaths. The 2009 flu pandemic in Singapore was an influenza pandemic involving the influenza A virus subtype H1N1. It was part of an epidemic that occurred in 2009 of the H1N1 virus, causing what was commonly known as swine flu. On 30 April 2009, the Singapore Ministry of Health raised its Disease Outbreak Response System to "Alert Orange". At this time, there were no confirmed cases in Singapore.The first case of the H1N1 virus in Singapore was confirmed on 27 May 2009, in which a then 22-year-old woman picked up the virus after visiting New York City, United States. As of 7 July 2009, there were 1,217 confirmed cases. As of 17 October 2009, there were 18 confirmed deaths from the H1N1 virus in Singapore. On 12 February 2010, the Singapore Ministry of Health moved its alert level to Green. The first case of Influenza A (H1N1-2009) was confirmed on 16 June, 2009 in Sri Lanka. Sri Lanka said on Tuesday that a 12-year-old girl returning home from Singapore was diagnosed with A(H1N1) influenza, the island's first swine flu case. The student was moved to the Infectious Diseases Hospital on the outskirts of the capital, a health ministry official said. As of 25 June there were 10 confirmed cases. According to Geetani Wickremasinghe of Medical Research Institute in Colombo another two people suffering from swine flu have been detected on Wednesday 24 June. Both patients who were from Australia, including a ten-year-old boy have reached the country on last Sunday. With these two patients added to the total number of Swine Flu patients detected in Sri Lanka has risen to 10. Four of the patients have been discharged, but six patients are still receiving treatments at the Infectious Disease Hospital in Angoda. South Korea warned against travel to Mexico City and three Mexican states. The government has also stepped up quarantine and safety checks on travelers arriving from the United States and Mexico, and pork imports from those countries. An emergency quarantine system is also in place, with simple tests conducted on people arriving with flu symptoms at airports. On 28 April, South Korea reported its first probable case of swine flu after positive preliminary tests on a nun who had recently returned from a trip to Mexico. Several sources have informed that one case has been confirmed by lab in South Korea, on 30 April. On 2 May, the first suspected woman turned out to be infected with the influenza A subtype H1N1. South Korea became the third infected nation in Asia, after Israel and Hong Kong. There have been approx. 2100 cases in S.Korea as of 16 August 2009. On 15 August, the first Korean death by the new influenza was confirmed publicly and a second death was announced on 16 August. Around 15000 cases and 14 deaths have been reported as of 12 October 2009. The 2009 flu pandemic in Thailand, part of an epidemic in 2009 of a new strain of influenza A virus subtype H1N1 causing what has been commonly called swine flu, made its first confirmed appearance in Thailand on 13 May 2009, when Thailand confirmed two cases of swine flu. Both of the individuals confirmed as having swine flu had recently traveled to Mexico. The Thai Public Health Ministry announced on 16 July that it had ended daily updates on the type A(H1N1) influenza pandemic, saying it wanted to avoid public confusion and would give weekly updates. 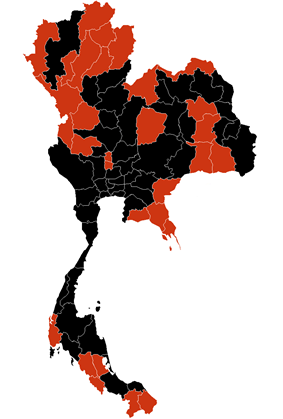 There were 4,469 confirmed cases in Thailand and 44 confirmed deaths as of 22 July 2009. The first case of A(H1N1) in Turkey was reported on 16 May 2009. A U.S. citizen, flying from the United States via Amsterdam was found to be suffering from the swine flu after arriving Istanbul's Atatürk International Airport. Turkey is the 36th country in the world to report an incident of swine flu. The Turkish Government has taken measures at the international airports, using thermal imaging cameras to check passengers coming from international destinations. As of 11 August, there were 312 confirmed cases in Turkey. As of 24 October, there is 1 confirmed death in Turkey. It is reported by Ministry of Health that one person died in Ankara. In addition, there are 958 confirmed cases in Turkey. An Indian old man who was already suffering from severe respiratory and lung infections and A(H1N1) - swine flu- has died to become the first person in the United Arab Emirates to succumb to the disease, announced the Health Ministry on 20 August 2009. The 63-year old victim had gone too late to a hospital where he was diagnosed with the infections along with the A(H1N1) symptoms and was treated but passed away because of the progression of the disease, it said. The Ministry of Health has confirmed the death of a 28 year old Syrian from Sharjah on 1 September 2009 due to the H1N1 infection, along with another pregnant woman, bringing the toll of H1N1 influenza deaths in the country to four. Uzbekistan has taken measures to prevent the entry and spread of the swine flu on the country’s territory, chief state sanitary doctor Bahtiyor Niyazmatov told UzA. According to the official, the measures the country has taken to prevent dangerous infections has proved its efficiency in the past. Thus, the threat of the bird flu and other infectious diseases was prevented. Today Uzbekistan has direct air and land links with many countries and imports thousands of products from other states. The Health Ministry of Uzbekistan has worked out a special plan to prevent the new respiratory infection. High-quality specialists are participating in the monitoring of the situation and special trainings are being held for medical workers in all regions. The virus laboratories across Tashkent, and the country's regions have diagnostic means to timely identify the swine flu. In case of swine flu symptoms the patient will be isolated in the specially reserved rooms of infection clinics. Sanitary control points are functioning in the border crossing places, including airports and railway stations. They have been provided with additional special equipment and disinfection means, he added. Besides, the Health Ministry has issued posters and brochures explaining precaution measures and organized meetings with specialists at residence areas, educational establishments, enterprises and organizations, the chief state sanitary doctor of Uzbekistan said. Vietnam's Ministry of Health released an emergency dispatch and urged agencies to take precautionary measures against swine flu. In addition, the Preventive Health and Environment Bureau requested all health facilities to carefully monitor any suspected H1N1 case and Bureau head Nguyen Huy Nga also warned that the pandemic could enter Vietnam through imported swine or border gates. Thermal imaging devices were dispatched to airports and border gates to screen passengers. In response to WHO's warnings, Vietnam on 30 April 2009 raised its swine flu alert level to 4 which indicated a "threat of community level outbreaks" while local authorities have been executing precautionary measures. On 1 May 2009 an Vietnam's Ministry of Industry and Trade official said that Ministry was considering a ban on pork import "under certain situations" to prevent swine flu from entering Vietnam. As of 31 May 2009. The Government of Vietnam announced its First new case of A(H1N1) virus in the Country. A 23 years old Vietnamese student who recently returned from the Houston, Texas, USA has tested positive for swine flu. As of 4 July 2009 there have been reported 7 cases of A(H1N1) flu in Yemen. 28 April First case confirmed in Israel. 1 May First case confirmed in Hong Kong. 2 May First case confirmed in South Korea. 8 May First case confirmed in Japan. 10 May First case confirmed in China. 12 May First case confirmed in Thailand. 15 May First case confirmed in Malaysia. 16 May First case confirmed in India. 16 May First case confirmed in Turkey. 17 May Community outbreaks confirmed in Japan. 19 May First case confirmed in Taiwan. 21 May First case confirmed in the Philippines. 22 May First case confirmed in Russia. 24 May First case confirmed in Kuwait. First case confirmed in the United Arab Emirates. 25 May First case confirmed in Bahrain. 27 May First case confirmed in Singapore. 30 May First case confirmed in Cyprus. First case confirmed in Lebanon. 31 May First case confirmed in Vietnam. 3 June First case confirmed in Saudi Arabia. 11 June First case confirmed in the Palestinian Territories. Community outbreaks confirmed in Hong Kong. 14 June Community outbreaks confirmed in Philippines. 16 June First confirmed case in Jordan. First confirmed case in Qatar. First confirmed case in Sri Lanka. Community outbreaks confirmed in Thailand. First confirmed case in Yemen. 17 June First case confirmed in Oman. Community outbreaks confirmed in Malaysia. 18 June First case confirmed in Macau, China. First case confirmed in Laos. 19 June First case confirmed in Bangladesh. 22 June First death confirmed in the Philippines. First case confirmed in Iran. 23 June Community outbreaks confirmed in Macao. 24 June First case confirmed in Indonesia. First case confirmed in Cambodia. First case confirmed in Iraq. 26 June Community outbreaks confirmed in China. 27 June First death confirmed in Thailand. First case confirmed in Myanmar. 29 June First case confirmed in Nepal. Community outbreaks confirmed in Singapore. 1 July Community outbreaks confirmed in South Korea. 2 July First death confirmed in Brunei. First case of Oseltamivir (Tamiflu) resistance found in Japan. 3 July First case of Oseltamivir (Tamiflu) resistance found in Hong Kong. 4 July First case confirmed in Syria. 8 July First case confirmed in Afghanistan. 10 July First death confirmed in Hong Kong. 13 July Community outbreaks confirmed in Saudi Arabia. 16 July First death confirmed in Singapore. 19 July First case confirmed in Georgia. Community outbreaks confirmed in Israel. 21 July Community outbreaks confirmed in Indonesia. 22 July Community outbreaks confirmed in India. 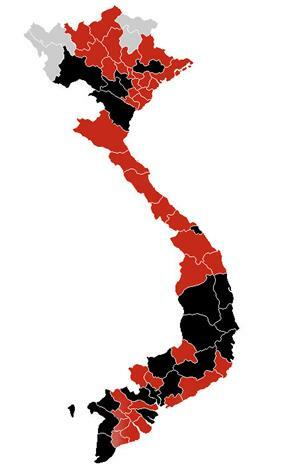 Community outbreaks confirmed in Vietnam. First death confirmed in Laos. 23 July First death confirmed in Malaysia. First case confirmed in Bhutan. First case confirmed in Kazakhstan. 24 July First case confirmed in Maldives. 25 July Community outbreaks confirmed in Brunei. Community outbreaks confirmed in Taiwan. 26 July Community outbreaks confirmed in Cyprus. Community outbreaks confirmed in Turkey. First death confirmed in Indonesia. 27 July First death confirmed in Israel. First death confirmed in Saudi Arabia. Community outbreaks confirmed in United Arab Emirates. 30 July First case confirmed in Azerbaijan. First death confirmed in Taiwan. First death confirmed in Lebanon. 31 July First death confirmed in Qatar. 2 August First death confirmed in India. 3 August First case confirmed in Pakistan. 4 August First death confirmed in Vietnam. 5 August First death confirmed in Iran. 7 August First death confirmed in Palestine. 8 August First case of Oseltamivir (Tamiflu) resistance found in Thailand. 9 August First death confirmed in Iraq. 12 August First case confirmed in East Timor. 14 August First case of Oseltamivir (Tamiflu) resistance found in Singapore. First case of Oseltamivir (Tamiflu) resistance found in China. 15 August First death confirmed in South Korea. First death confirmed in Japan. 18 August First death confirmed in Yemen. 20 August First death confirmed in Kuwait. First death confirmed in United Arab Emirates. 21 August First death confirmed in Oman. 24 August First case confirmed in Kyrgyzstan. 26 August First death confirmed in Syria. 29 August First death confirmed in Bangladesh. 31 August First death confirmed in Bahrain. 2 September First death confirmed in Macau. 10 September First case of Oseltamivir (Tamiflu) resistance found in Israel. 21 September Mass vaccinations in China, which is the first one in the world, begins. 28 September First death confirmed in Cambodia. 30 September First completed clinical trials by a company for 2009/H1N1 vaccine in the world. 4 October First case confirmed in Tajikistan. 6 October First death confirmed in China. 12 October First case of Oseltamivir (Tamiflu) resistance found in Vietnam. First death confirmed in Jordan. 13 October First case confirmed in Mongolia. 19 October Mass vaccinations in Japan begins. 23 October First death confirmed in Mongolia. 24 October First death confirmed in Turkey. 27 October First death confirmed in Russia. Mass vaccinations in South Korea begins. 29 October First death confirmed in Afghanistan. 3 November Mass vaccinations in Singapore begins. 7 November First death confirmed in Pakistan. First death confirmed in Sri Lanka. 8 November First case confirmed in Armenia. 13 November First death confirmed in Cyprus. 16 November First case confirmed in North Korea. 18 November First death confirmed in Maldives. 7 December First death confirmed in North Korea. 13 December First death confirmed in Armenia. 14 December First death confirmed in Georgia. 27 December First death confirmed in Nepal. ^ a b c d e f g h i j k l m n o p q r s t u v w x y z aa ab ac ad ae af ag ah ai aj ak "ECDC Daily Update". European Centre for Disease Prevention and Control. 8 January 2010. Retrieved 8 January 2010. ^ "Consolidated Status of Influenza A H1N1 as on 26th November 2009 (PIB 26-11-2009 )". PIB Press Release. 25 November 2009. Retrieved 26 November 2009. ^ a b c d e f g h i j k l m n o p q r s t u v w x y z aa ab ac ad ae af ag ah ai aj ak al am an ao ap aq ar as "Swine Flu Count - Worldwide statistics of the H1N1 Influenza A Pandemic". flucount.org. 13 November 2009. Retrieved 13 November 2009. ^ Breaking News, AFP (January 4, 2010). "China records 659 flu deaths". Agence France-Presse (The Straits Times). Retrieved 9 January 2010. ^ "Pandemic H1N1 2009 - Thailand". WHO SEARO. 14 November 2009. Retrieved 25 November 2009. ^ "Iran has 3,672 swine flu cases: health minister". Zawya. 25 November 2009. Retrieved 25 November 2009. ^ a b c "Pandemic (H1N1) 2009". WHO EMRO. 21 November 2009. Retrieved 25 November 2009. ^ Daily "Swine and Seasonal Flu Monitor - Volume 1, Number 9" (PDF). Surveillance and Epidemiology Branch, Centre for Health Protection. 2009-11-18. Retrieved 2009-11-19. ^ "Georgia reports 120 cases of swine flu". Trend. 23 November 2009. Retrieved 25 November 2009. ^ a b c "Prevention against "swine flu" stabile in Azerbaijan: minister". ^ "Meeting on swine flu threat held in Azerbaijani Cabinet of Ministers". ^ "All aircraft and passengers examined at Heydar Aliyev International Airport". Azerbaijan Press Agency. 28 April 2009. Archived from the original on 3 May 2009. Retrieved 29 April 2009. ^ """Azerbaijani Health Minister: "Special order will be issued regarding the swine flu threat. Azerbaijan Press Agency. 28 April 2009. Archived from the original on 3 May 2009. Retrieved 28 April 2009. ^ a b "Azerbaijan-Russia border checkpoints pass to medium security". ^ a b "Flu vigil 'vital' for Bahrain.". TradeArabia. 14 May 2009. Retrieved 1 September 2012. ^ "US National is First Suspected Swine Flu Case in Bahrain". News Blaze. 1 May 2009. Retrieved 1 September 2012. ^ a b "7 Bahraini students hit by swine flu.". TradeArabia. 15 June 2009. Retrieved 1 September 2012. ^ "Bahraini swine flu cases rise". TradeArabia. 17 June 2009. Retrieved 1 September 2012. ^ "Bahrain to treat all flu patients with Tamiflu.". TradeArabia. 8 September 2009. Retrieved 1 September 2012. ^ "Flu cases top 1,346 in Bahrain.". TradeArabia. Retrieved 1 September 2012. ^ "First A/H1N1 flu case detected in Bangladesh". Xinhua. 19 June 2009. Retrieved 22 October 2009. ^ "Myanmar reports first A/H1N1 flu". The People's Daily. 28 June 2009. Retrieved 22 October 2009. ^ "Myanmar Confirms First H1N1 Case". Wall Street Journal. 27 June 2009. Retrieved 22 October 2009. ^ "Regional flu cases cause concern". phnompenhpost.com. 29 April 2009. Retrieved 29 April 2009. ^ "1st domestic case in Cambodia". Straits Times. Archived from the original on 28 June 2009. Retrieved 27 June 2009. ^ a b "FACTBOX-Asia moves to ward off new flu virus". Reuters. 9 February 2009. Archived from the original on 30 April 2009. Retrieved 26 April 2009. ^ "Four 'mild' cases of swine flu confirmed in Nova Scotia". Ottawacitizen.com. Archived from the original on 29 April 2009. Retrieved 26 April 2009. ^ "China suspends flights from Mexico". XinHua. Archived from the original on 3 May 2009. Retrieved 2 May 2009. ^ "China To Draft Flu Vaccine And Immunity Strategy". Bernama. 29 June 2009. Retrieved 29 June 2009. ^ "China's Sinovac gets world's first production license for A/H1N1 flu vaccine". Xinhua. Archived from the original on 10 September 2009. Retrieved 8 September 2009. ^ Breaking News, AFP (4 January 2010). "China records 659 flu deaths". Agence France-Presse (The Straits Times). Archived from the original on 8 January 2010. Retrieved 9 January 2010. ^ "Latest News of Center for Health Protection |publisher=Centre for Health Protection, Hong Kong". Chp.gov.hk. Retrieved 2 May 2009. ^ a b "Secretary for Food and Health on the issue of swine flu (press releases)". Fhb.gov.hk. 26 April 2009. Retrieved 2 May 2009. ^ a b "'"Swine flu alert raised to 'serious. Sc.info.gov.hk. 26 April 2009. Archived from the original on 7 June 2009. Retrieved 2 May 2009. ^ Tang, Leslie (28 April 2009). "HK steps up SARS-like emergency precautions against swine flu". Channel News Asia. Retrieved 29 April 2009. ^ Webley, Kayla (27 April 2009). "The Lessons from SARS". Time. Archived from the original on 30 April 2009. Retrieved 29 April 2009. ^ "Emergency in force after case confirmed". Radio Television Hong Kong. 1 May 2009. Archived from the original on 3 May 2009. Retrieved 1 May 2009. ^ "Hong Kong govt confirms first H1N1 flu case". Reuters. 1 May 2009. Archived from the original on 3 May 2009. Retrieved 1 May 2009. ^ "Hong Kong Confirms Swine Flu Case, Declares Emergency". Bloomberg. 1 May 2009. Retrieved 1 May 2009. ^ "SFH on human swine flu press conference on 1/5". Centre for Health Protection, Hong Kong. 1 May 2009. Retrieved 22 October 2009. ^ "1st H1N1 case confirmed in HK". News.gov.hk. Archived from the original on 7 June 2009. Retrieved 2 May 2009. ^ "Lodgers of Metropark Hotel moved to holiday village". Hong Kong SAR Government. 2 May 2009. Retrieved 22 October 2009. ^ "Update on Human Swine Influenza" (PDF). ^ "Macao reports first confirmed A/H1N1 flu case". Xinhua. 18 June 2009. Retrieved 22 October 2009. ^ "Macao reports first confirmed local A/H1N1 flu case". TDM. 23 June 2009. Retrieved 22 October 2009. ^ Sinha, Kounteya (28 April 2009). "American & European visitors to be screened for swine flu". Times Of India. Retrieved 22 October 2009. ^ "NRI from Texas arrives in Hyderabad with swine flu symptoms - India - The Times of India". Timesofindia.indiatimes.com. 30 April 2009. Retrieved 30 April 2009. ^ Sinha, Kounteya (1 May 2009). "Flu watch: NRI test result in 2 days - India - The Times of India". Timesofindia.indiatimes.com. Retrieved 1 May 2009. ^ Sinha, Kounteya (2 May 2009). "3 suspected cases of swine flu in India". TimesofIndia.Indiatimes.com. Retrieved 2 May 2009. ^ "Swine flu scare in India, 2 under observation". Archived from the original on 3 May 2009. Retrieved 2 May 2009. ^ "Eight new swine flu cases, total in India 153". Retrieved 7 July 2009. ^ "Swine Flu kills 2 more in Pune, toll 8". Retrieved 22 October 2009. ^ "Cegah flu babi, pemerintah gelar rapat koordinasi". Kompas newspaper. 27 April 2009. Retrieved 22 October 2009. ^ "Takut flu babi, Indonesia hentikan impor babi". Kompas newspaper. 27 April 2009. Retrieved 22 October 2009. ^ BBC News, "Israel renames unkosher swine flu", 27 April 2009 . Retrieved 28 April 2009. ^ Yahoo News, "Israeli official: Swine flu name offensive", Associated Press, 27 April 2009 . Retrieved 28 April 2009. ^ Pilkington, Ed (28 April 2009). "What's in a name? Governments debate 'swine flu' versus 'Mexican flu' | World news | guardian.co.uk". London: Guardian. Archived from the original on 1 May 2009. Retrieved 30 April 2009. ^ ביבי הבריז ללבני? זה בגלל שפעת החזירים (in Hebrew). Reshet. 19 June 2009. ^ בבית הנשיא מתכוננים לשפעת החזירים. (in Hebrew). ^ עוזר הח"כ שנדבק בשפעת: הלחץ מיותר (in Hebrew). ^ "Japan on high alert for swine flu after outbreak in Mexico". ^ "FACTBOX-Asia moves to ward off new flu virus". Reuters. 26 April 2009. Retrieved 22 October 2009. ^ "A female passenger having arrived from Los Angeles was suspected of the new influenza". ^ "Japan's 1st suspected case of new influenza virus detected". ^ "Yokohama high school student confirmed to be not carrying the new influenza". ^ "Japáo confirma primeiros três casos de gripe H1N1" (in Portuguese). O Globo. 8 May 2009. Retrieved 8 May 2009. ^ Kubota, Yoko (8 May 2009). "Japan confirms 3 cases of new flu strain". Reuters. Archived from the original on 15 May 2009. Retrieved 9 May 2009. ^ "NHK- Japan Confirms 4th Case Of Swine Flu". Pacific News Center. 10 May 2009. Retrieved 10 May 2009. ^ "First domestic case of H1NI flu infection confirmed in Japan". The Japan Times. 16 May 2009. Retrieved 16 May 2009. ^ "Patients of A/H1N1 flu amount to 410 in Japan". Xinhua. 4 June 2009. Retrieved 4 June 2009. ^ "Three students diagnosed with А/Н1N1 in Astana". Kazakhstan Today. 23 June 2009. Retrieved 22 October 2009. ^ "Swine flu reaches Kuwait". Kuwait Times. 17 June 2009. Retrieved 22 October 2009. ^ "Govt to make swine flu border checks". Vientiane Times. Archived from the original on 2 May 2009. Retrieved 29 April 2009. ^ "Lebanon records first H1N1 death". Reuters. 30 July 2009. Retrieved 30 July 2009. ^ "Number of local swine flu cases rises to 43, says Health Ministry". The Daily Star. 1 July 2009. Retrieved 1 July 2009. ^ Ladki, Nadim (9 February 2009). "Lebanese told not to kiss in anti-swine flu drive | Lifestyle | Reuters". Uk.reuters.com. Archived from the original on 1 May 2009. Retrieved 30 April 2009. ^ "News: Swine flu Fear Prompts Lebanon to Ban Pork Imports". Foodbizdaily.com. 22 February 1999. Archived from the original on 3 May 2009. Retrieved 30 April 2009. ^ "Malaysia confirms first case of A(H1N1) flu (Update 2)". TheStar Online. 15 May 2009. Retrieved 22 October 2009. ^ "A (H1N1): First locally-transmitted case confirmed (Update)". TheStar Online. 17 June 2009. Retrieved 22 October 2009. ^ "6 new flu deaths in M'sia". Straits Times. 11 August 2009. Retrieved 22 October 2009. ^ "Influenza A(H1N1): Death toll now 68". Malaysia Ministry of Health. 20 August 2009. Retrieved 22 October 2009. ^ Ibrahim Mohamed (30 April 2009). "Maldives prepares for swine flu". Archived from the original on 7 June 2009. Retrieved 30 April 2009. ^ Yeol, Kim So (29 October 2009). Swine Flu in North Korea a Big Risk. Daily NK. ^ a b North Korea Today No. 311/No.311-1 Hot Topics December 2009. Good Friends. ^ Hyun, Kim (9 December 2009). N. Korea confirms H1N1 outbreak . Yonhap. ^ N.Korea accepts S.Korea swine flu aid offer. AFP. 10 December 2009. ^ "Two die of flu in Sultanate". Retrieved 22 October 2009. ^ "Pakistan mobilises against swine flu". The Dawn. 29 April 2009. Retrieved 22 October 2009. ^ "Quarantine screening of US passengers ordered | Manila Bulletin". Mb.com.ph. Archived from the original on 29 April 2009. Retrieved 26 April 2009. ^ Frank Jordans (25 April 2009). "WHO declares international concern over swine flu". Associated Press. Retrieved 22 October 2009. ^ "RP bans pork, hogs from US, Mexico". ^ "Philippines on high alert against swine flu". news.xinhuanet.com. Archived from the original on 2 May 2009. Retrieved 1 May 2009. ^ Anna Valmero (21 May 2009). "DoH confirms first A(H1N1) case in RP". Retrieved 22 October 2009. ^ Br. Armin A. Luistro FSC, President and Chancellor (3 June 2009). "RE : Confirmed case of Influenza A and campus closure". Retrieved 3 June 2009. ^ "A(H1N1) virus from 29 rose to 33 in RP". 5 June 2009. Retrieved 5 June 2009. ^ "Update No. 48 - Duque Reports High Risk Patient who Dies of Heart Attack Found with A(h1N1);84% if all Reported Cases have Fully Recovered". Department of Health. Retrieved 22 June 2009. ^ "Philippines reports first swine flu fatality". 22 June 2009. Archived from the original on 25 June 2009. Retrieved 22 June 2009. ^ "News By Industry". The Times Of India. 17 August 2009. Retrieved 22 October 2009. ^ Fox, Maggie (22 October 2010). "New strain of swine flu emerges in Singapore". ^ Cheney, Satish (25 June 2009). "Polyclinics to set up special stations to treat H1N1 flu cases". ^ "The 2009 Influenza Pandemic: An Overview - Foreign Press Centre". Foreign Press Centre. Retrieved 2 November 2012. ^ "Singapore records first A (H1N1) flu case". ^ "Singapore confirms 23 new flu A/ H1N1 cases". xinhua. 21 June 2009. Archived from the original on 9 September 2009. Retrieved 8 September 2009. ^ "Singapore reports two more A/H1N1 related deaths". xinhua. 22 June 2009. Archived from the original on 9 September 2009. Retrieved 8 September 2009. ^ "Swine Flu cases in Sri Lanka rising day by day". ColomboPage. 25 June 2009. Retrieved 22 October 2009. ^ SKorean woman 'probably' has swine flu: health agency. From Asiaone, 28 April 2009. ^ "Swine Flu: Lab Confirmed Cases by Country". Swivel. Archived from the original on 2 May 2009. Retrieved 1 May 2009. ^ "Swine Flu Interactive Map - Google Maps". Maps.google.com. 1 January 1970. Retrieved 1 May 2009. ^ "the first suspected is 'confirmed' as new influenza infected in S.Korea". SBS. 2 May 2009. Archived from the original on 4 May 2009. Retrieved 2 May 2009. ^ "Daily updates on H1N1 flu scrapped". Bangkok Post. 16 July 2009. Retrieved 16 July 2009. ^ "Swine flu arrives in Turkey: 6 tourists in quarantine". eturbonews.com. 17 May 2009. Retrieved 20 May 2009. ^ "First case of swine flu confirmed in Turkey". turkishny.com. 16 May 2009. Archived from the original on 19 May 2009. Retrieved 13 June 2009. ^ "Alarmed by swine flu, Turkey takes immediate action". Todayszaman.com. 28 April 2009. Archived from the original on 9 September 2009. Retrieved 20 May 2009. ^ "Vietnam on alert as new killer flu stalks Mexico, US". ^ "Thế giới báo động đại dịch cúm heo" (in Vietnamese). ^ Thanh Nien staff & VNA. "Vietnam raises swine flu alert level". ^ Thanh Nien staff. "Vietnam considers ban on pork import, raises swine flu alert". Archived from the original on 3 May 2009. Retrieved 2 May 2009. ^ "First Case of A(H1N1) virus in Vietnam". Archived from the original on 2 June 2009. Retrieved 31 May 2009. ^ "Health Ministry announces the country’s 7th case of swine flu". Yemen Observer. Retrieved 4 July 2009.